Cherrapeno: Waiter, there’s something in my… meatless barbecue! This is my sort of barbeque! Hi there Holler - thanks for visiting! Hope the weather stays decent long enough so we can have some more barbecues! Marie - you could always do the bbq yourself - why should men have all the fun anyway?! 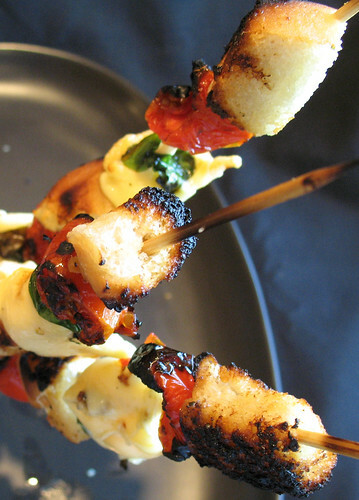 These skewers are more than fantastic!! They would be an entire meal for me if I just added some corn on the cob on the side.All my favourites, basil, bread, cheese and tomatoes. Now...have me munching away, drinking raki and dancing to bazouka music overlooking the Agean Sea in Greece and the meal would be perfect!!!! Nicisme, I certainly get the idea - gonna make these next time I go to my father's house at the beach! Everyone is gonna love these! Valli - I'm not sure about doing the dancing (I'll watch you, lol) but the rest sounds wonderful! Patricia - how super to be able to go to your father's house at the beach, lucky you - hope you have a great time! Oh YUM! 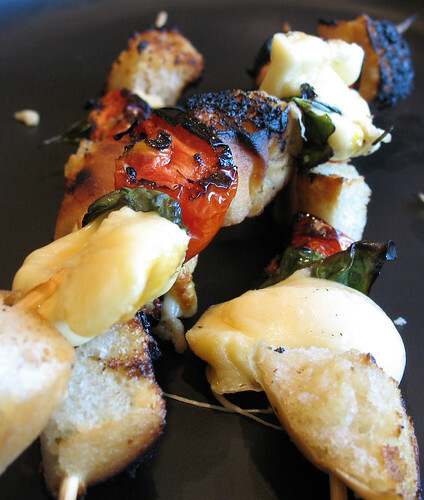 These look fantastic and I am always in favour of things on sticks that you can serve hot off the grill as a starter/snack. I am guessing that haloumi cheese would also work? The pictures re mouth-watering too :) Thanks for taking part in WTSIM and hope to see you again next month. 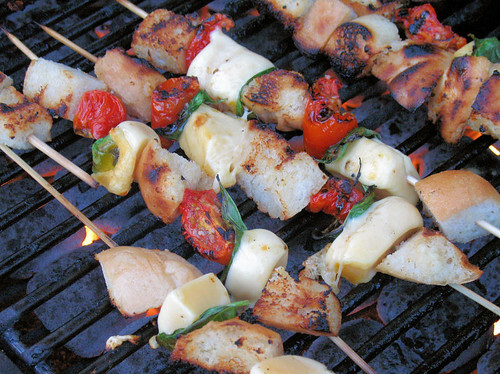 Uauuu its delicious these meatless barbecue, is very creative. Nicisme i like so much your pictures, your blogs is wondefull!!! !